Holiday entertaining can get stressful, but with this delicious cocktail recipe by Elizabeth Harris of Floating Kitchen you can start the season off just right. By infusing floral flavors like Elderflower and Rosemary as well as adding Royal Riviera Pears, this holiday drink will become a seasonal favorite. It’s the season for sipping on fancy cocktails! 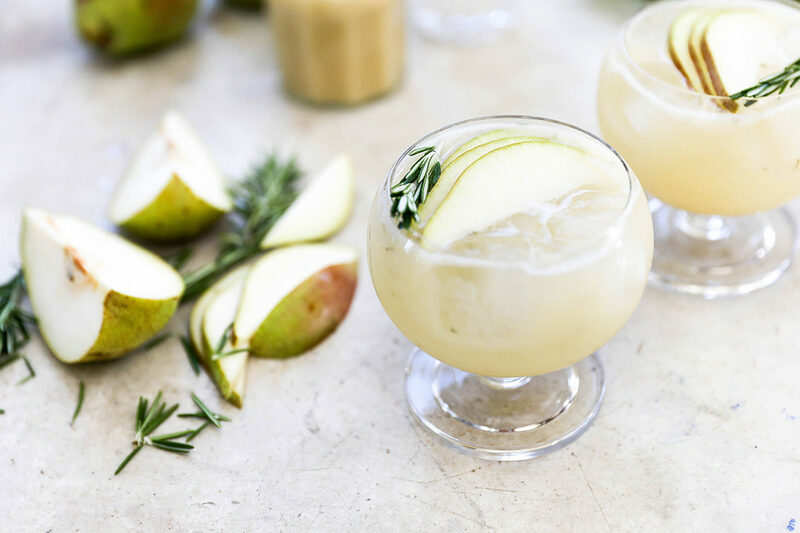 This Pear Gin Fizz with Elderflower and Rosemary has a secret… it looks fancy, but this seasonal cocktail is actually incredibly easy to make. There are no crafty bartender skills required, and you won’t have to go on a chase for hard-to-source liqueurs. This cocktail makes holiday entertaining fun and low stress. This cocktail recipe starts with a homemade pear-rosemary purée, made with Harry & David’s famously delicious Royal Riviera Pears. The purée will be thick on its own, but it thins and smooths out beautifully once incorporated with the other ingredients in the cocktail. The result: a beverage with lots of lively, luscious pear flavor. The pear-rosemary purée will keep for a couple days when stored properly in your refrigerator. Plus, you should have enough to easily craft a dozen cocktails. You can make it in advance, then just shake up individual drinks once your guests arrive. The Elderflower liqueur adds some subtle floral notes to this cocktail while adding a touch of sweetness. Depending on your taste buds, you can choose to use either club soda for a less sweet version, or tonic water for a sweeter version. 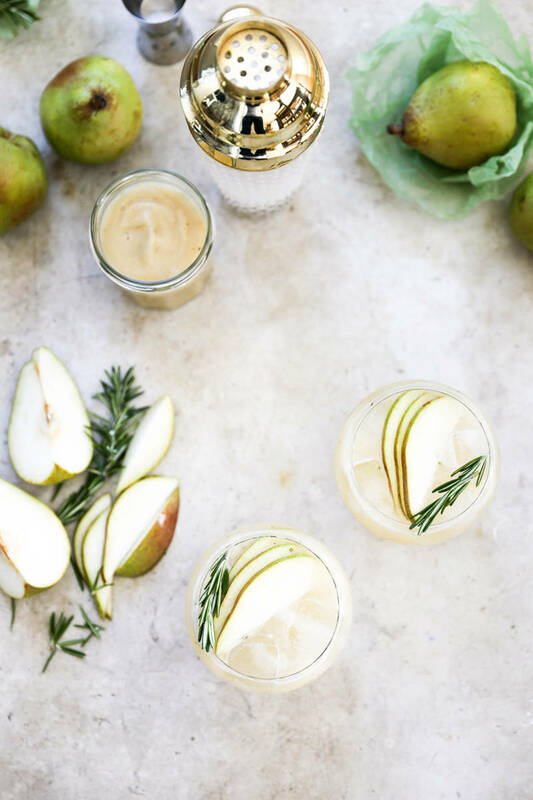 Either way, this Pear Gin Fizz Cocktail will be one of your favorite holiday cocktails, Happy Sipping! In a medium saucepan, combine the chopped pears, water, sugar, lemon juice and rosemary. Bring to a simmer and cook, stirring occasionally, for 10-12 minutes. The pears should be softened. Remove the saucepan from the heat and let cool. Remove and discard the rosemary sprig. Then transfer the cooked pears and any remaining liquid in the saucepan to your blender and blend on high until smooth. 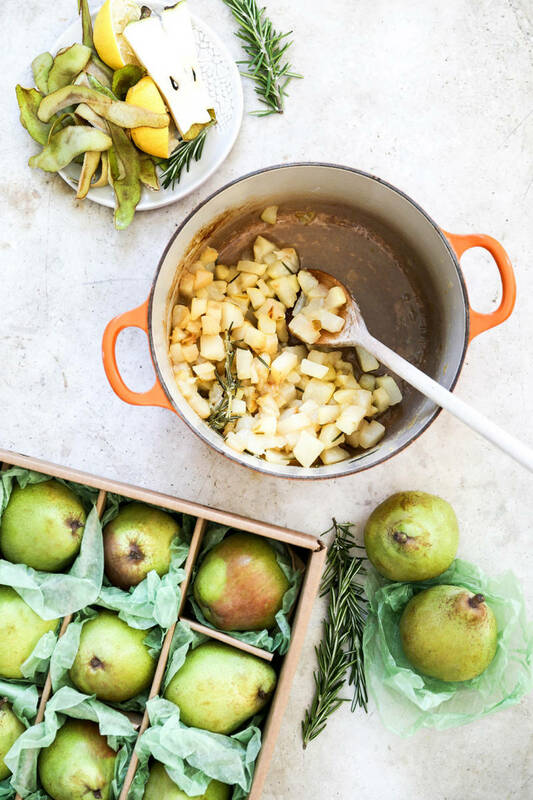 Transfer the pear-rosemary purée to a clean re-sealable container and refrigerate until well chilled. The purée can be stored for 2-3 days. For the cocktails, add the pear-rosemary purée, gin and elderflower liqueur to a shaker with ice. Shake vigorously until well chilled. Then strain the liquid into two serving glasses with ice. Top with tonic water or club soda. 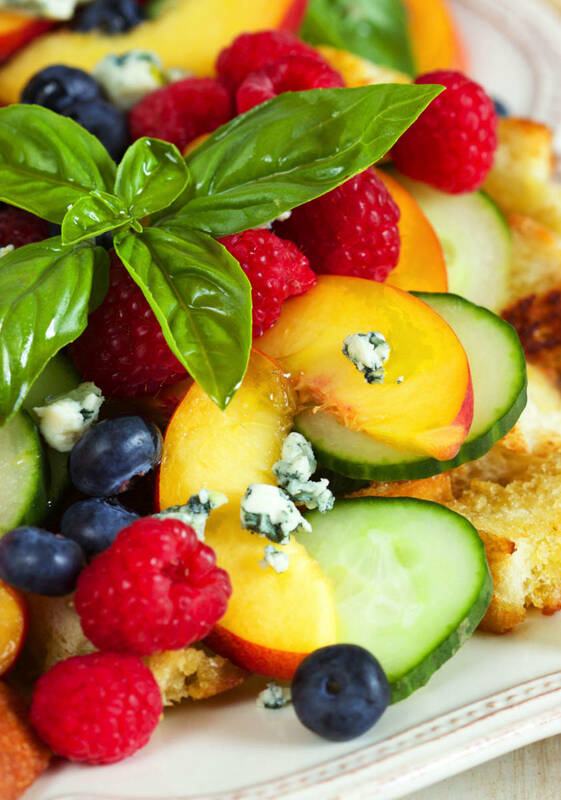 Garnish with sliced pears and fresh rosemary. Enjoy immediately.